Set the sails to the wind and explore the exclusive beauties of Mykonos on a sailing yacht with on-board buffet of Greek flavours and complimentary wine, beers and soft drinks. Enjoy a beach safari to the most beautiful and famous south-coast beaches. Relax and swim in a secluded bay of Rhenia island. 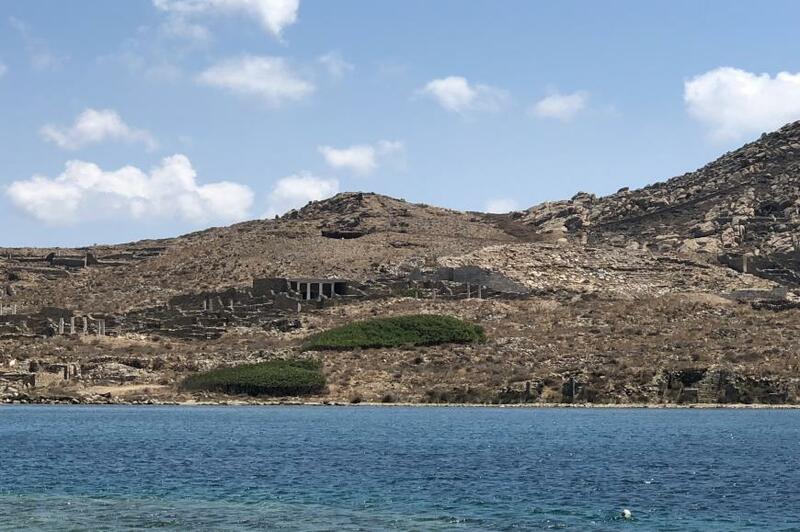 While sailing see the archaeological site of Delos from the water. Embarkation time is at 09:30am. You will be picked up by our complimentary shuttle transportation to reach the embarkation point. One of our cruise representatives will greet you and give you an overview of the cruise itinerary. A short tender ride will follow from the small dock in order to embark the yacht anchored out in the bay and waiting for you. Important safety information will follow. At 10:00am we lift the anchors and set the sails to Mykonos southern coastline where a slew of gorgeous beaches are located. Enjoy a beach safari where you can soak up the spectacular views passing the famous beaches of Ornos, Psarou, Platis Gialos, Paranga, Paradise and Super Paradise. 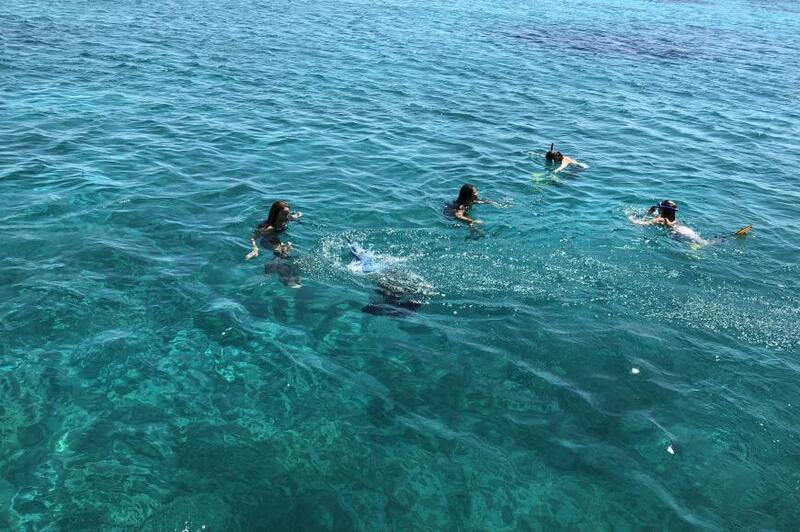 A swimming stop of approximately 1 hour is scheduled approaching the closest possible one of the selected beaches. 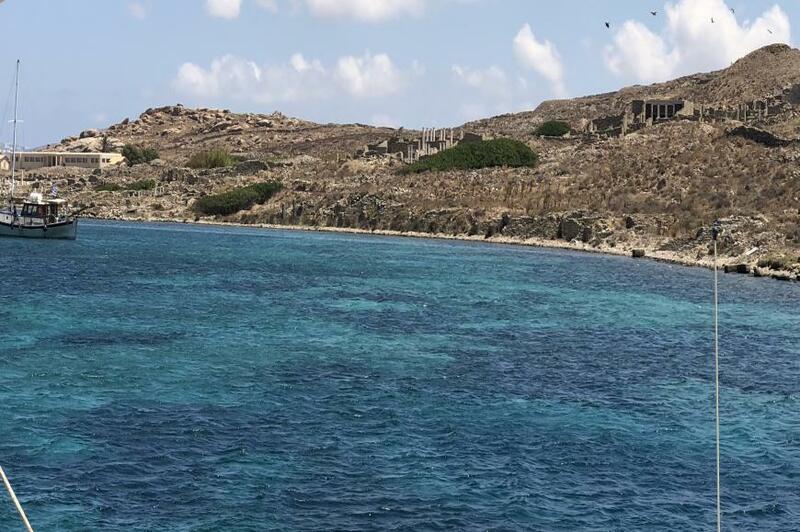 We set the sails for 1 hour approximately to reach the uninhabited islet of Rhenia, known also as “Big Delos”. 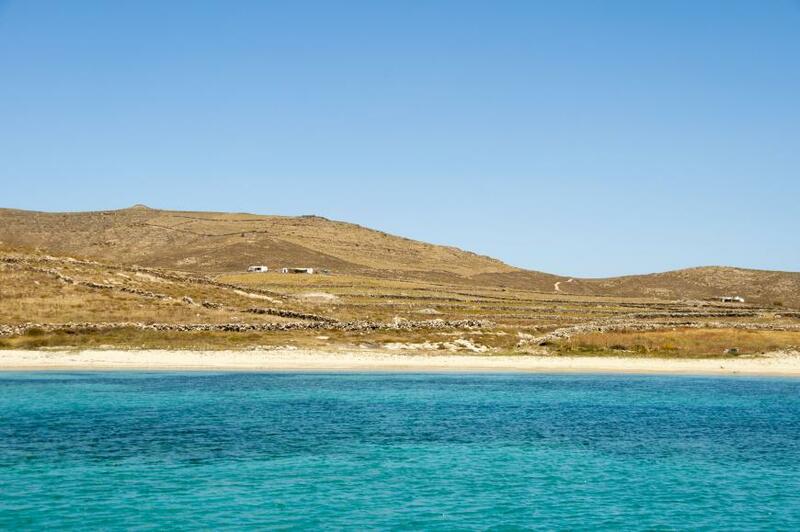 Rhenia is accessible only via yacht, making it a small secluded paradise compared to the crowded beaches of Mykonos. The refreshing turquoise salty waters are inviting you for a relaxing swim. Snorkeling gear is available on board for free use at your convenience. On board lunch is ready with a variety of traditional Greek flavours served with Mediterranean style buffet and a selection of complimentary wine, beers and soft drinks. 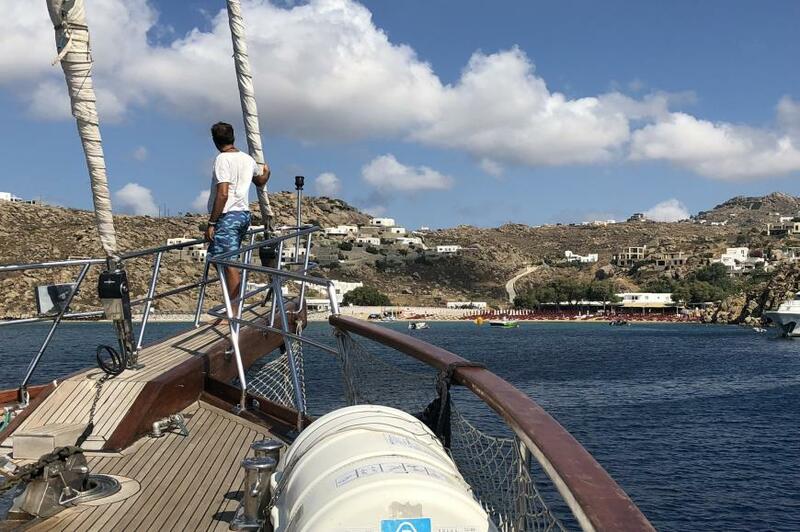 After about 2 hours spent in the untouched islet of Rhenia, we are ready at 03:00 pm to sail back to Mykonos, while on our way we will cross Delos island and admire from the water the famous archaeological site. Arrival is scheduled by 04:00 pm. Our crew will help you disembark by a short tender ride to the small dock where our complimentary shuttle transportation will be waiting for you. We will say goodbye in the Greek way with a farewell drink toast and returning home full of euphoria for having shared with you our Greece, whose destiny is bound to the sea and sailing is the best way to experience it. Good health is necessary to take part to the sailing cruises. Cases of pregnancy, mobility and healthy issues must be advised before reservation and are subject to reconfirmation so to assure a safe participation of the passenger on cruise • Children aged 1 and younger are complimentary • Number of guests is according to the yacht allocated and to the current weather conditions. The embarkation time of this cruise is at 09:30 am and the departure time is at 10:00 am.